Location: Near Askaray, Southern Turkey. 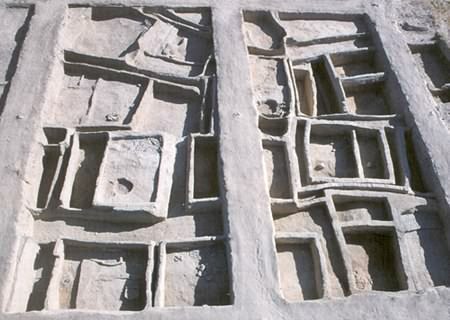 Grid Reference: 38.349° N. 34.23° E.
Asikli Höyük began at around. 8,000 BC. 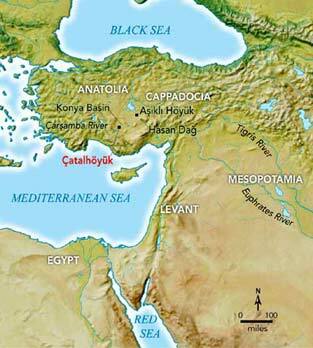 As in Catal Höyük, the houses were mud brick and entered through the roof. Archaeologists have discovered large numbers of artefacts made from obsidian – black volcanic glass – as well as bone, antler and copper, with an array of blade types. Here too the dead were buried beneath the floor, and one of the skeletons that has been analysed shows evidence of trepanation (the drilling of a hole in the skull), perhaps for some form of surgery. The discovery of the agate bead necklace (below-right), dated at 7,500 - 7,000 BC demonstrates the level of specialisation attained at this site. Discoveries such as these along with other early discoveries from the middle-east are combining to overcome the prejudices of early archaeologists, who placed such finds as these into the category of 'Anomalous artefacts'. Today, with numerous other contemporary finds from the Anatolian highlands and across the middle-east, a contextual platform is slowly forming upon which to place such objects. 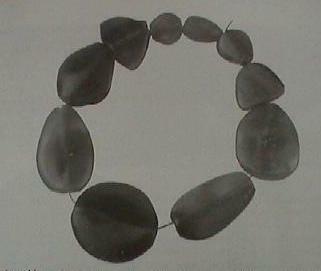 Polished Agate Bead Necklace (7,500 BC). This remarkable necklace was uncovered in 1989. It is made of burgundy agate and consists of ten polished beads all shaped between 2.5 cm and 5.5 cm in length and perforated longitudinally no more than 7-8 mm diameter, even though agate is 7 on the Mohs' scale of hardness. (The necklace is dated to between 7,500 BC and 7,000 BC. To drill similar holes today requires the use of a highly specialised diamond-tipped tungsten-carbide drill. (1) Regardless of the technical difficulties of perforating the stones, the presence of such early technology, expertise and craftsmanship does not appear overnight but is developed over many years, suggesting an even earlier origin to develop the required skills. 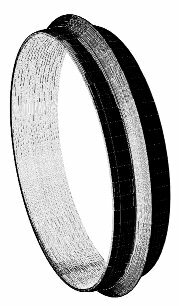 The bracelet is the first object to have been studied among some sixty other polished obsidian artefacts.